The Light on the Hill is Ross McMullin’s acclaimed commissioned centenary history of the ALP. It covers all states and the federal scene comprehensively and accurately while maximising liveliness and readability. The research is prodigious, the narrative is action-packed, and the scope and span of the coverage is sweeping. The “warts-and-all” story is told through the people who made it, and is full of illuminating pen-portraits and anecdotes. 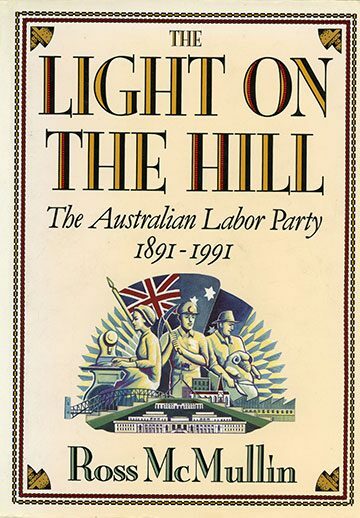 The Light on the Hill remains, 26 years after it was published, the most authoritative volume on the ALP’s rich history. 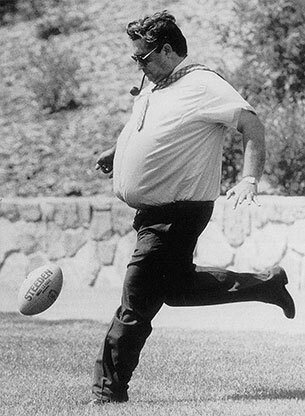 Perhaps the most endearing feature of The Light on the Hill is McMullin’s extraordinary ability to convey a compelling description of a notable Labor figure in a few words, and to capture the atmosphere and emotions of the events he describes … His anecdotes encapsulate the humour, pathos and eccentricity for which Labor is famous … For anyone seriously interested in Australian politics or history, The Light on the Hill is definitely compulsory reading. Ultimately the book reflects the best features of its subject: it is powerful, unpretentious, humorous and fascinating. To cover, in a single volume, the history of the Australian Labor Party at both state and federal level, highlighting and explaining all the significant issues and controversies, while constantly introducing new characters who must be brought to life in a few sentences, is a staggering undertaking. Dr McMullin is to be congratulated on an outstanding success. The Light on the Hill, massively researched and crammed with information though it is, compels like an accomplished novel, deftly presenting colourful people and memorable events with virtually faultless tact and accuracy. Ross McMullin is to be congratulated on the anecdotal material, which is marvellous. Reading his description of appearances, mannerisms, personalities, strengths, weaknesses, traits, style, and speech is absolutely brilliant. Nothing like it has ever been produced by any other historian. People I, personally, knew before McMullin was born are exactly as he describes them … This is the most important book ever written about a major political party … It will be the official text book for as long as Australia survives. The book which I most enjoyed this year, and which changed to some extent my views on a subject I thought I knew well, was Ross McMullin’s excellent history … I was stunned by how accurately he’d recorded not just the events … but the very feel of … Caucus struggles … McMullin captures perfectly the spirit and flavour of the ALP’s tortuous climb back to eventual power during the late 60s and early 70s … It’s a marvellous book and absolutely essential reading for anyone interested not just in the history of the ALP, but the way it looks, sounds, smells and operates, the feel and flavour of a party and a movement in and out of power. Its scope is remarkable … McMullin takes a critical and analytical view of the successes and failures of Labor’s performance at state and federal level, both in and out of office. The faction fighting, leadership challenges, expulsions and defections are all meticulously described — but never colourlessly. 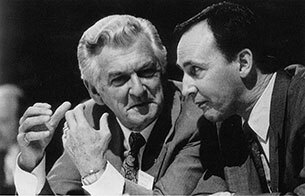 Perhaps McMullin’s greatest achievement is not so much his efforts to summarise a vast body of literature, although this is impressive, but rather his admirable ability to capture the personalities of some of Labor’s most colourful characters. This important and provocative book presents the tremendous and turbulent history of the Australian Labor Party warts and all. Its publication itself demonstrates the strength of a Party and a Movement courageous enough to commission an untrammelled account of its failures and faults, as well as its immense achievements. Ross McMullin’s is the first comprehensive history of the Australian Labor Party … a detailed narrative which integrates events at State and Federal level, 450 pages rich in anecdotes that bring the Party’s 100-year history to life [and] will end up on the shelf of every true believer … McMullin’s history shows how Labor provided the colour and action of Australian politics … this centenary history is in large measure a history of Australia since 1891. In this brave, lucid and intellectually honest book, Ross McMullin places the conflict between principle and pragmatism, direct action and electoral representatives, and the aspirations of prominent politicians and the rank-and-file right at the centre-point of his historical analysis … As this incisive narrative reveals, crookedness, vote-rigging and skulduggery have long been part of Labor’s rich history. So, too, have hope, inspiration and visions for a better future. As a romantic tale of stirring adventures, this is first class writing. McMullin’s monumental study examines Labor’s changing fortunes at both state and federal levels [in] a survey of truly daunting dimensions … The wonder of it is that none of this detail ever taxes the reader. [This is] outstanding narrative histor[y], carefully structured, elegantly written and graced with a humour and irony that makes even the number-crunching of the New South Wales party machine intensely interesting. This long, lively and observant narrative history embodies an impressive knowledge of the subject. The author evokes personalities with great flair and has a strong grasp of the historical framework of national events. The book is unflaggingly readable. I commend Ross McMullin on his achievement. It’s a gripping read. No novelist could have conjured up characters as irritatingly magnificent as Whitlam or as unlucky as Scullin … He has captured some marvellous images … Men and women of Australia, this is a book not to miss. 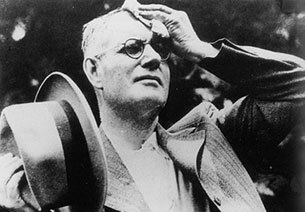 It was an incredibly difficult task … Somehow or other Ross has made sense out of one hundred years of the Labor Party’s history … in an enormously readable, entertaining, accurate, reflective, analytical form. McMullin has produced a splendid book … not only a long, detailed and remarkably lucid study but also a vivid and captivating account of a party in which countless hundreds of thousands have been actively involved. Pen-portraits, anecdotes and photographs abound.